If your electrical panel has been in place for some time, there is a good chance that it may no longer support the current electrical demands of your business. There are many reasons why your Industrial or commercial electrical service may need to be upgraded. Perhaps your business has seen tremendous growth in the last few years requiring you to hire additional staff and install additional equipment for staff usage. Has your business acquired new clientele and their increase business has required additional equipment to keep up with production demands? 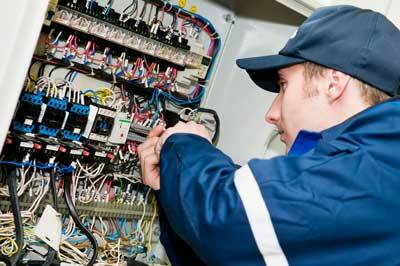 A more simple reason to upgrade your industrial electrical service is due to time. If your electrical panel has been in place for some time, there is a good chance that it may no longer support the current electrical demands of your business. Have you started to notice flickering lights, blown fuses, repeatedly tripping breakers, having to turn off one appliance in order to use another? Maybe, the breakers in the panel are rusted or corroded. Do you find yourself using multiple extension cords to run equipment? These are signs that you can’t ignore. Electricity can be very dangerous, and even deadly if certain precautions or changes to electrical service systems aren’t made. You are putting yourself, your employees and your investment at risk to electrocution or hazardous fire conditions. Due to the hazardous conditions and potential dangers that electricity can pose, organizations, such as OSHA (Occupational Safety and Health Administration) and NFPA (National Fire Protection Association) have created codes or guidelines that govern all electrical installations and distribution. If these codes are not followed these government entities can shut down your operation until any failed guidelines are implemented or, worst case scenario, should an injury or fire damage occur as a result, your insurance carrier may deny coverage. A licensed electrician is required to keep up with these codes and make certain that any electrical components installed will be in compliance. Hiring a licensed electrician will take the guesswork out of expanding your electrical service, helping you to select the right system to support any extra load. A licensed industrial electrician will handle the intricate process of disconnecting and rewiring your equipment if your business is relocating. At Portman Electric, Inc. our licensed industrial electricians ensure that your new facility is equipped to handle the load of your new operation by making certain that your computer systems are wired to a dedicated circuit, adding an additional sub-panel if needed, assessing your business needs for additional outlets, and when large equipment machinery is installed making certain that your service has enough power to accommodate any new loads. 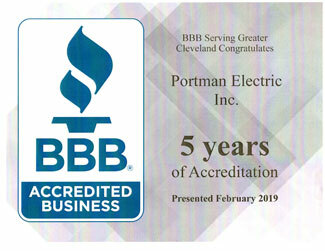 As experienced Industrial and Commercial Electrical Contractors, Portman Electric, Inc. is there to perform a thorough review of your setup and will make any recommendations needed to ensure that your electrical service continues to run safely and efficiently for years to come.